An Ondo State High Court sitting in Akure, the state capital, yesterday sentenced James Ofem, an armed robbery convict, to death by hanging. The court said Ofem was in the notorious robbery gang terrorising residents, mostly motorists on the Ondo-Ore road, and had been on security watch list for a long time. Justice Williams Olamide, who delivered the judgment, said the convict was guilty of the two-count charge of conspiracy and armed robbery filed against him. He said witnesses alluded to the use arms by the accused during his attacks. 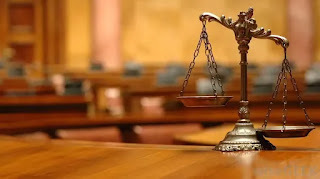 According to Justice Olamide, the prosecution proved the robbery case beyond reasonable doubt with convincing evidence that the accused was guilty of the crime. The Prosecutor from the Department of Public Prosecution (DPP) in the Ministry of Justice, Wale Bamisile, recalled how Ofem, with his gang members, on July 12, last year, robbed Adamu Mustapha of his CoolPad phone, Infinix and Nokia handsets. Another witness, Sergeant Franklin Alabi of Enuowa Police Station, who tendered the exhibits recovered from the suspect, noted that investigation into the matter revealed that Ofem was found culpable in the robbery. Another witness, Adamu Mustapha, said he and a bus conductor were waylaid by Ofem’s robbery gang around the Liyetu village on the Ondo-Ore road. He said: “My conductor and I ran into a barricade on the Ondo-Ore road. Suddenly from nowhere, armed robbers came out and started beating us mercilessly. They robbed us of our clothes, phones and N52,710.